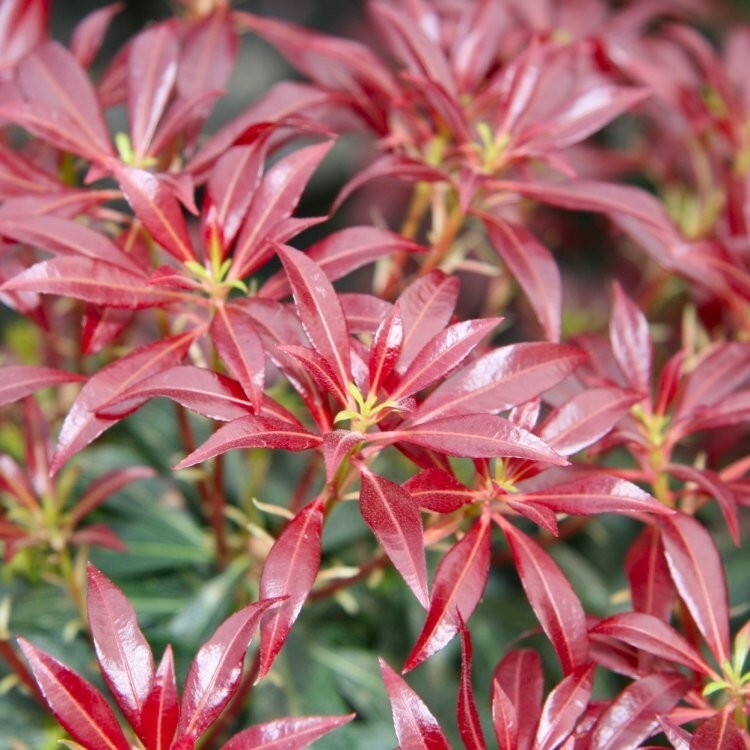 A facinating Pieris from Japan, 'Katsura' boasts large glossy evergreen leaves with eye-catching wine red new growth changing to dark green with age. In Spring, lovely rose-coloured flowers cascade over the foliage creating many seasons of interest. 'Katsura' was actually an accidental discovery, on a wooded hillside near a Shinto Temple. 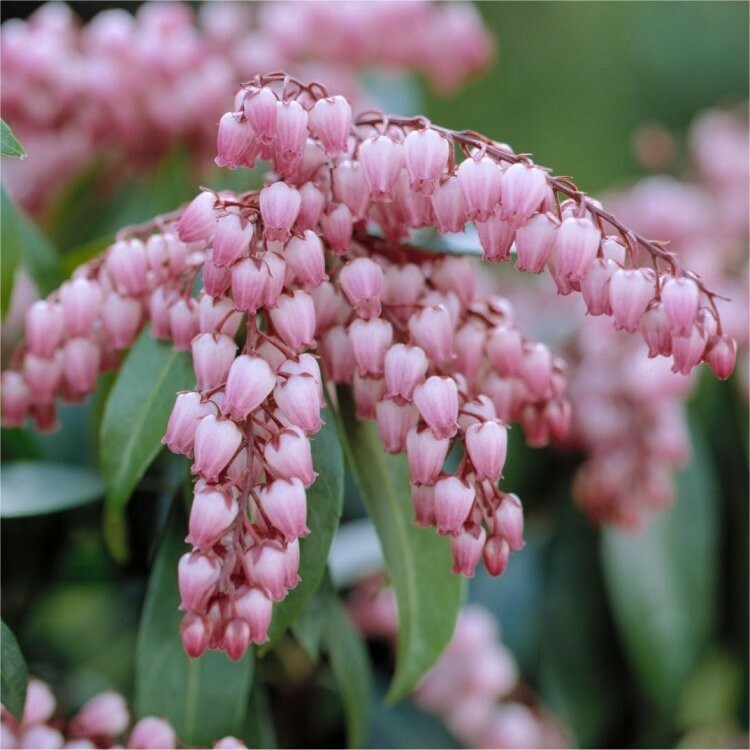 The plant is perfect for patio planters, a partly shady shrub border or woodland garden. ‘Katsura’ also makes a stunning addition to a Japanese themed garden. These choice plants are supplied as bushy, flowering sized plants in approx 2-3 litre containers.